Look, Ryan! Do you See Where the Hawk Landed in that Tree? No, Daddy. I Don't See the Hawk Sitting in the Tree. Maybe we need to See if you Need Eye Glasses to See Far-Away, Ryan? We can Stop at the Eye Doctor's Office on our way Home from Myakka State Park this Afternoon. Here we are, Ryan. This is the Eye Doctor's Office. Let's see if they have Time to Look at your Eyes. Hello, Ryan. Would you Please Come In and Sit Down in this Chair? Oh–! What a Nice Bunny Chair, Ryan! You're Scared... aren't you, Ryan? Don't Worry, Ryan. Everything will be O.K. I'm Doctor Susan. 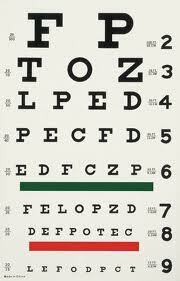 Your Eye Examination will not Hurt. Here– Let me Look Into your Eyes with this Little Light. I can see that your Beautiful Brown Eyes are Fine. No Scratches and Nothing Else Wrong. Now– let's Put Some Eye Drops in your Eyes, Ryan. The Eye Drops will Relax your Eyes so that we can do Some Vision Tests. We will see How Near and How Far Away your Eyes can Focus, Ryan. Your Daddy says that you Could Not See a Hawk that was Far Away. Look Up at Me, Ryan– Don't Blink ❊💦❊ 😳..!! That wasn't Painful... just a *Surprise* when the Eye Drops go in your Eye. We use this Machine, Ryan, to Measure the Strength of your Eyes. Each Eye is Different and this Machine Shows us if you will Need Eye Glasses. Then it Shows us what Strength of Eye Glass you may Need for Each Eye. ...just Two Little Glass Lenses to Look Through! Please Look Through the Lenses and Read this Chart, Ryan. Read it from the Top to the Bottom. Can you See the Letters on All of the Lines? How About the Last Line of Letters? The Really Small Letters? It's Good that you Know your Alphabet Letters, Ryan. But if you Didn't, Doctor Susan has a Chart that Has Pictures. Ryan– you could not Read the Last Line of Really Small Letters. Your Eyes are Very Good, Ryan. They are Healthy and Fine. All this Eye Exam Shows us is that you can Not See Things that are Very Far Away. That is O.K. You can Get Eye Glasses to Wear that will Allow you to See Perfectly! does– from Mr. Dan Schmidt. You will Like Him... he is Quite Nice. Good Luck, Ryan. Here we are, Ryan. This is my Friend Dan's Eye Glass Shop. He will Help you Find Eye Glasses that you Like. Dan has Lots of Eye Glasses that you may Choose from– in Many Colors! Look, Daddy! A Monkey! I have Lots of facebook Friends who are Monkeys! Oh, Look, Ryan! Your Sister, Pinkie, would Love these Pink Eye Glass Frames! (too can) Enjoy Eye Glasses! Don't be Afraid, Ryan. Getting Eye Glasses Fitted does not Hurt! 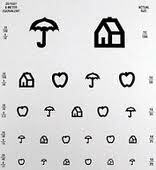 Look at this Eye Chart, Ryan. It Looks Similar to the Chart at Dr. Susan's Office. My Eye Exam wasn't Bad, Daddy. It Did Not Hurt! That's Right, Ryan. And Nothing Scary Happens Here when you get your Eye Glasses Fitted. Let's Check your Eyes, Ryan. Look Straight Ahead and I'll Cover One Eye. Now, Look Straight Ahead and I'll Cover your Other Eye. Your Eyes Look Fine, Ryan. Let's Try-On this Pair of Glasses, Ryan. They Match your Hair Nicely, Ryan. First, we Measure your Pupil Height. Then we Measure your Pupil Distance, Ryan. If you Need them, you can even get Prescription Sun Glasses; Brown or Grey. Daddy. I Like my New Eye Glasses! They Look Great on you, Ryan! I'm Glad that you are Happy with your New Eye Glasses! I went to a shop when G. Had her eyes tested once, i thought it was very interesting. She had them tested last week too but this time I stayed inside her bag. Your glasses look great Ryan! Our Papa wears glasses too, but he sometimes forgets where he put them, and he asks us to help find them, hehe. You look great in your new glasses Ryan. I sometimes wear glasses too. Both my mom and dad wear them. My dad needs them like you to see things far away. I think eyesight problems are bearetitary. Hi, Buttons, Jerry & Ben and Hammie! It seems that we All have Humans who Wear Eye Glasses. I'm glad that we can See Each Other 'cause it Makes our World a Happier Place!!! Please come and visit and drop me a line! Happy Bearthday Ryan! Hope you have a great one!